The first time I saw this was on a kitkat. There was a space on the bag of an individually packed kitkat chocolate for people to write messages to personalize the kitkat when you pass it to a friend or co-worker. Then I started to see it on more things: cookies, candies, gummies... typically sweets that are individually packed. It is a smart move. It suggests to you that this snack is to be shared, which means you will finish the bag quicker and will have to buy more! 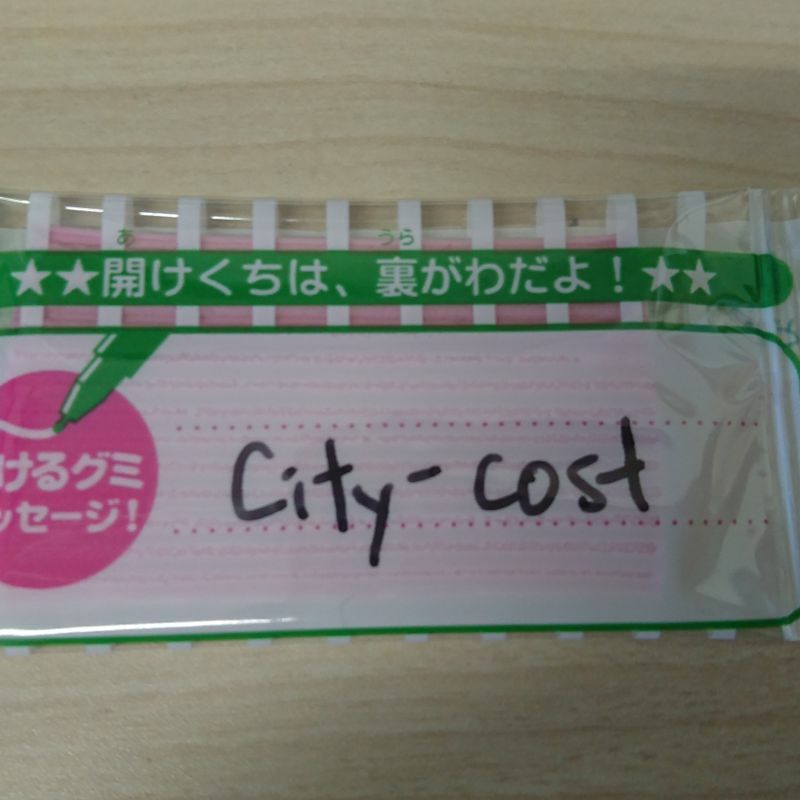 However, from the hundreds of snacks that I have received over my years in Japan, I had never received one with a message written on it. It makes me wonder, how many people actually use it? Even if no one writes it though, it still reinforces the idea of sharing. Smart move, snack companies, smart move.